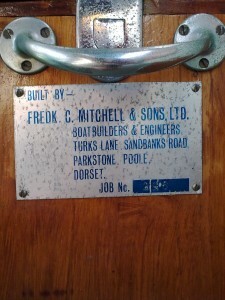 I have tried to find out about the boatyard and any archives that may exist but I fear that all is in peoples memories now. 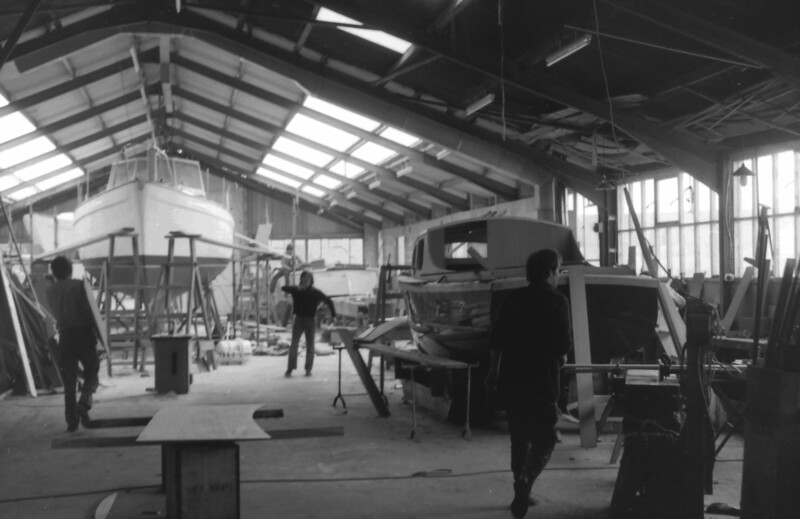 Mitchell’s boatyard was purchased in the late 90’s and whilst the company (Mitchell’s) still exists and is now owned by Parkstone Bay Marina, they are only a storage yard with launching facilities. The current Marina Manager informs me that there are no archives and the connection with the past has been lost!!! One small but important point is that all Barbary owners will have a plaque on their boat saying what the job number was. 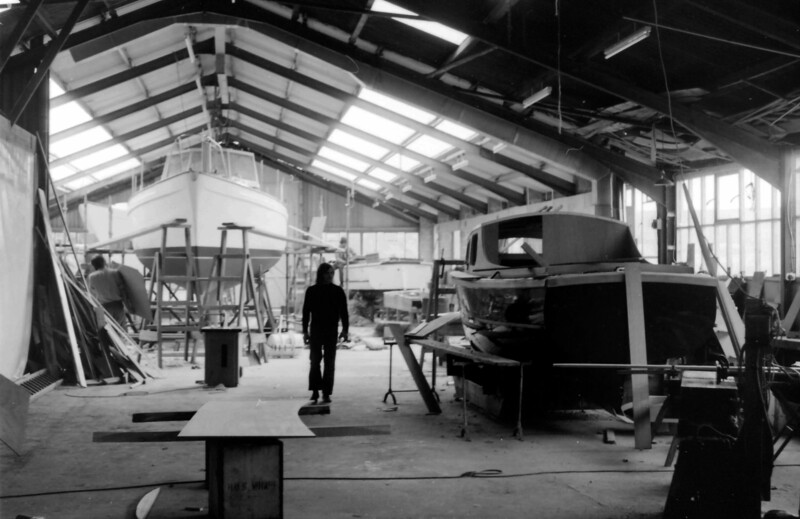 This is NOT the number of Barbarys built but the number of the boat, whatever its type, built at the boatyard. So the plaque below would not be the 298th Barbary and the 297th could have been a pram dinghy!! 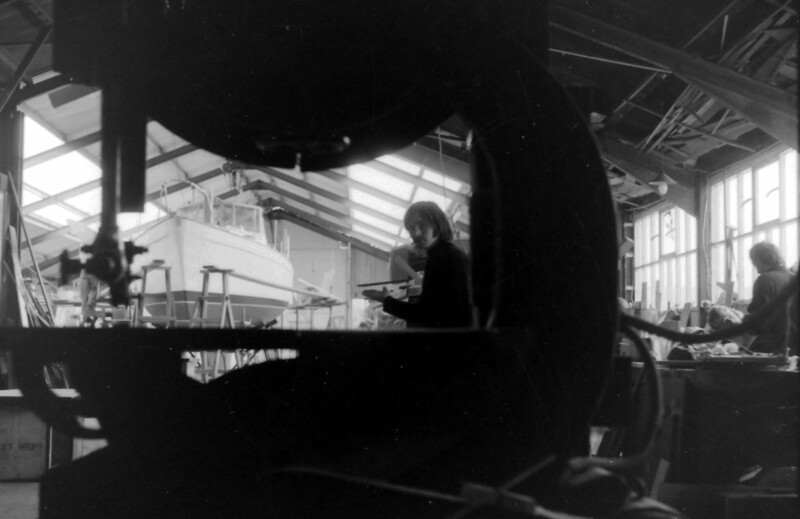 Taken inside the sheds of Mitchell's boat yard in Poole in 1972. The picture above and the pictures in the gallery below were taken by a gentleman called Mike Floyd who worked at Mitchells in the early seventies. 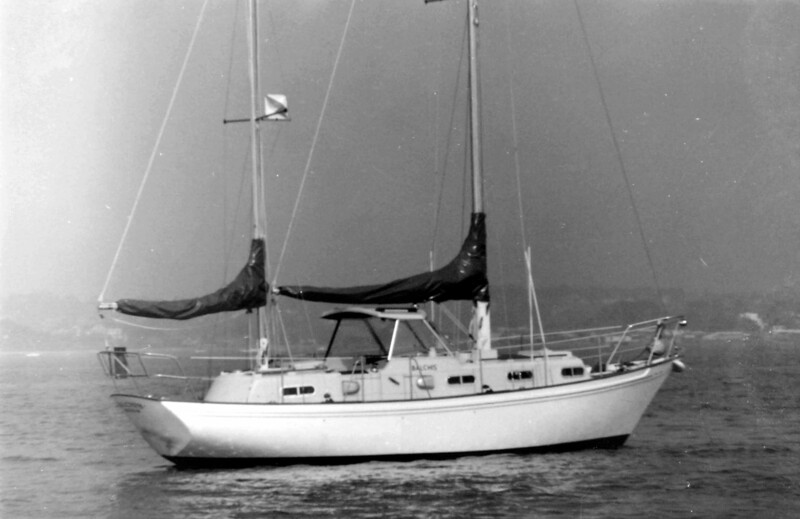 I’m now retired and living in France I don’t sail any more, although it was my life for most of my working life (I was also on the editorial staff of Y&Y for many years). 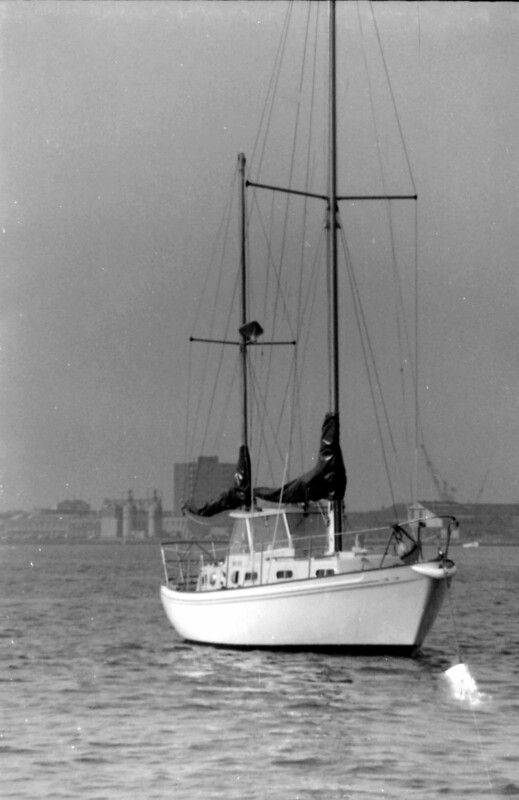 I’m really pleased to hear that you and Carole are enjoying your Barbary so much so long after she was built. 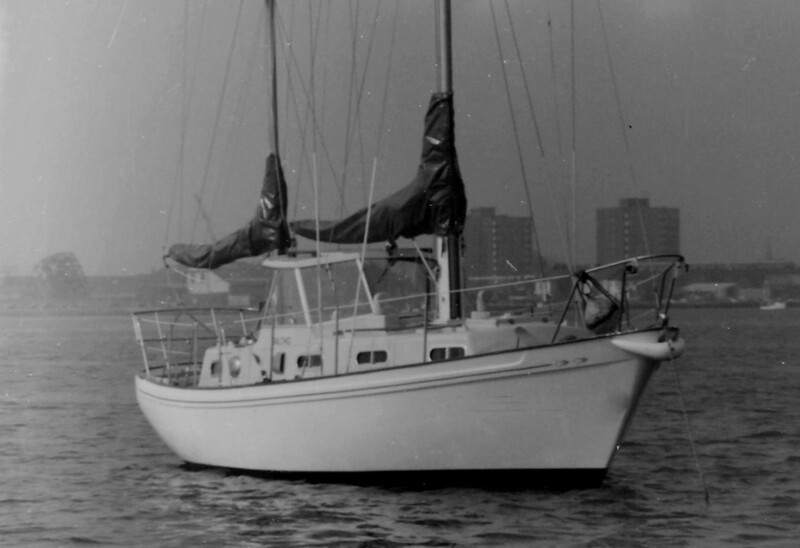 They really were well built and used excellent materials – I was in the marine industry for over 20 years, one way or another, and you couldn’t say that about many of the boats I encountered! You’ll appreciate that my time with Mitchells was over 35 years ago – I was 24 when I first joined them as sales manager (to save you the mental arithmetic that makes me 62 going on 63 now!) and memories fade… although a few things do stick in your mind! 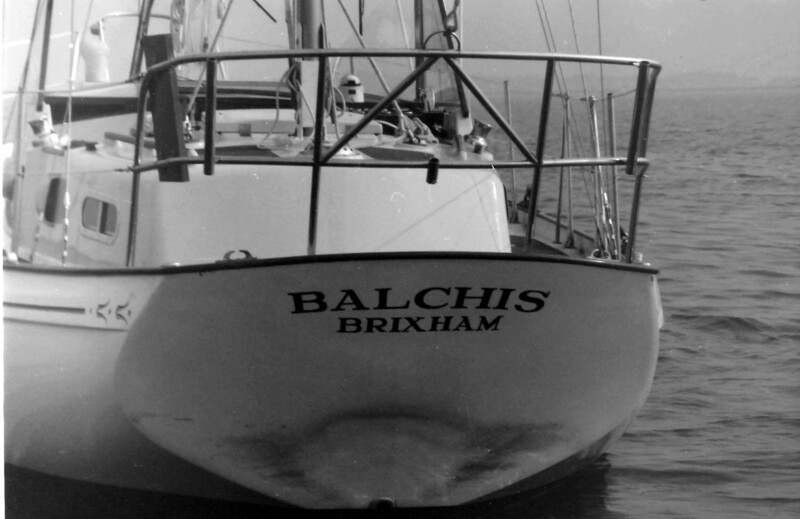 First of all, I’ve managed to find, scan and attach a few negs of Mitchells in 1972, they seem to be the only pics I took so I can only suppose I was too busy sailing to take many photos! The inside photos including an almost complete Barbary show what I think is the next boat in line, although I can’t remember her name. Judging from the negative numbers I think the bare shell in the photos would be the one after that, showing the mouldings as received from Robert (‘Bob’) Ives in Christchurch. The other pics show the construction shed – which you wouldn’t really describe as a production line! 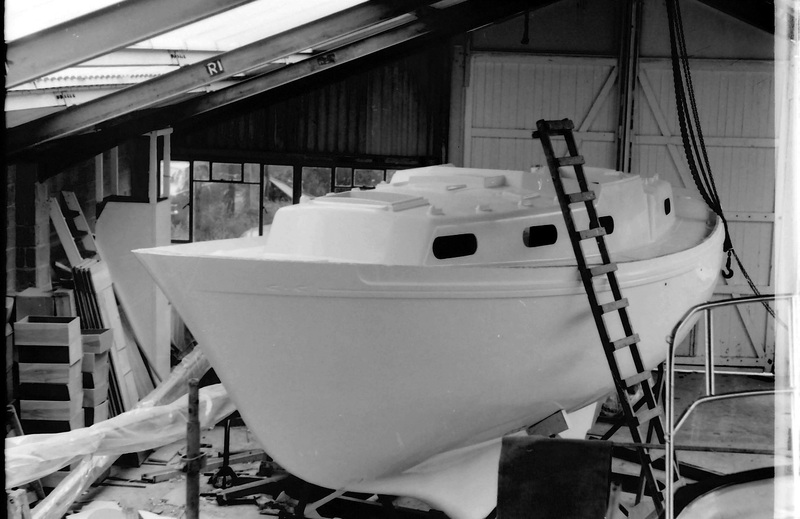 There were usually a couple of the 21ft ‘Parkstone Bay’ motor boats (lovely little seamanlike boats) under construction: one Barbary nearly complete and one set of mouldings just arrived. There would probably also have been a complete Barbary afloat, either on trials, awaiting acceptance or just departed. The gentleman walking towards the camera in one shot is Ewart Redwood, one of the directors at the time (the other was Len Mitchell). When did they start building? Not sure, I think a couple of years before I joined – 1969/70? How many under construction at a given time? Not a production line in the modern sense – perhaps one nearly complete or afloat awaiting trials; one well under way and a set of mouldings ordered orjust delivered. A range of 21ft ‘Parkstone Bay’ motor boats was the bread-and-butter of the yard at the time – GRP hulls and mahogany or GRP upperworks in three styles; seamanlike displacement hulls; range of diesels engines, mainly Saab or the same Mercedes OM636 as per the Barbary. Robert Ives of Christchurch supplied the bare mouldings for Barbary hull and deck and Parkstone Bay hulls. They did not build (ie complete) any. 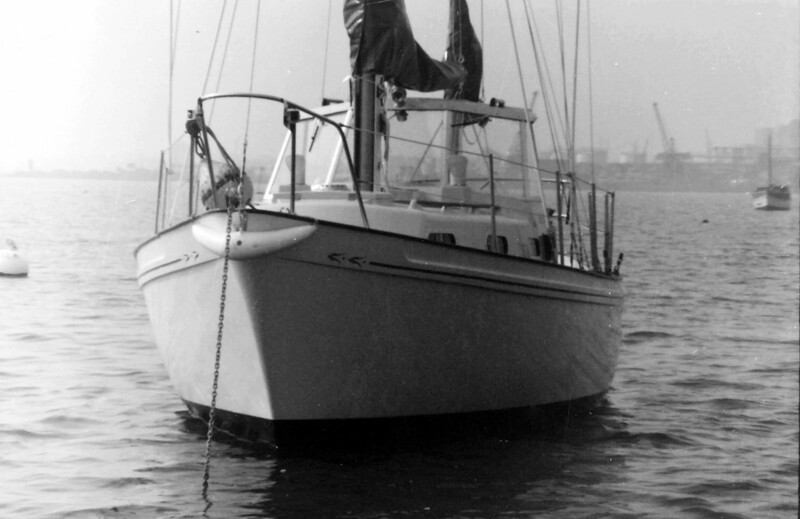 Incidentally there was also a full wheelhouse version with a completely wood superstructure on a Bob Ives Barbary hull called the ‘Magellan’ and built at Appledore on the north coast of Devon not many were built. Sorry, I can’t recall the builder’s name. Hopefully Mike will recall more about this era and send us some more gems.